Shane Shirley : Honored to Be Working in Advocacy for Safer Chemicals, Healthy Families. Won't You Come with Me? Honored to Be Working in Advocacy for Safer Chemicals, Healthy Families. Won't You Come with Me? I literally could not be more honored and excited than to be working in advocacy in my home state of Florida with Safer Chemicals, Healthy Families. A big shout out and "Thanks" goes to Anna from Green Talk for referring me to Safer Chemicals, Healthy Families' Deputy Director, Lindsay Dahl. To me, Lindsay Dahl is a rock star and I am such a groupie. If you aren't yet familiar with their work, you can find them at SaferChemicals.org. The Safer Chemicals, Healthy Families coalition represents more than 11 million individuals and includes health professionals, parents, cancer specialists, conservationists, businesses and concerned citizens just like you who are working together for a safer tomorrow. We are united by our common concern about toxic chemicals in our homes, places of work, and in products we use every day that should be safe. 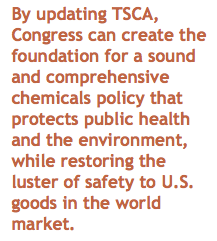 Safer Chemicals, Healthy Families is a non-profit that wants to create a greener future with greener chemicals, healthier families and an updated Toxic Substances Control Act (TSCA) that actually protects US consumers from harmful chemicals. You should consider coming with me on this green journey. We'll learn together how to advocate for a science based, safer tomorrow that utilizes chemicals that have been proven safe and non-toxic for consumers as well as the environment. If you don't have a ton of time because you are majorly busy, you can still make a difference and stay in the loop right now by Liking Safer Chemicals, Healthy Families on Facebook and following @SaferChemicals on Twitter. If you feel like you can take on a little bit more, this weekend I am going to be working on a letter to the editor of my local paper, The Orlando Sentinel, to raise awareness on the need for common sense limits on toxic chemicals. Would you be willing to write a letter to the editor for your local newspaper too? It's actually the most read page of the new newspaper and is a great way to show your support for the Safe Chemicals Act. If you, like me, aren't sure exactly how to go about writing to your local newspaper's editor, just read this recent blog post from Safer Chemicals, Healthy Families that gives quick and easy tips for writing a good letter. 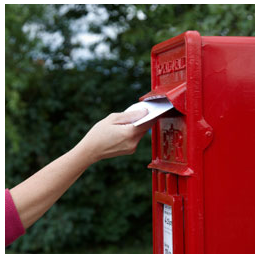 The post features simple "how-to's", talking points and the best way to submit your letter. Our future depends on our knowledge and actions, what choices will you make today that will change your health and the health of our world tomorrow? Writing a letter to the editor is quick and a great way to help educate the people in your community about one of the most important issues facing America today. Sign up now to let Lindsay know that you plan to write a letter to the editor for your local paper.